Zombie films are fine – but the excess of films about the undead has lead to some fatigue surrounding the subject. With that in mind, Shini‘chirô Ueda’s stunningly original low-budget comedy is a true breath of fresh air for the genre. 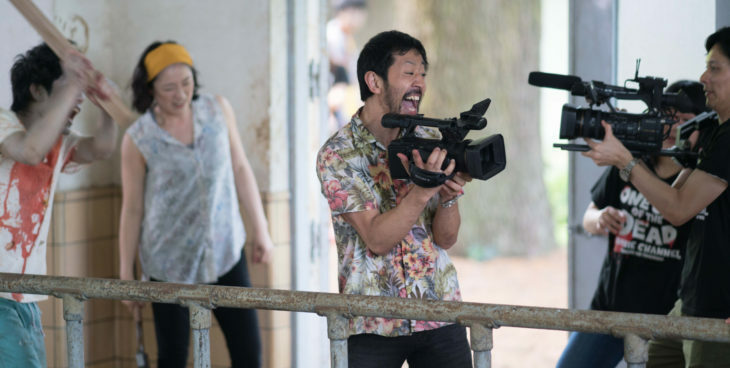 First a 40 minute horror film without cutting once: the disastrous production of a cheap zombie slasher ends in utter catastrophe when real zombies show up … and then Ueda shows what actually happened behind the scenes, complete with diaphragm crushing aha-moments. Rightly so, it is an international audience hit at festivals for Fantastic Film.